We all want a white and healthy smile, but unfortunately, over time a lot of factors can lead to our teeth becoming yellowed and discolored. 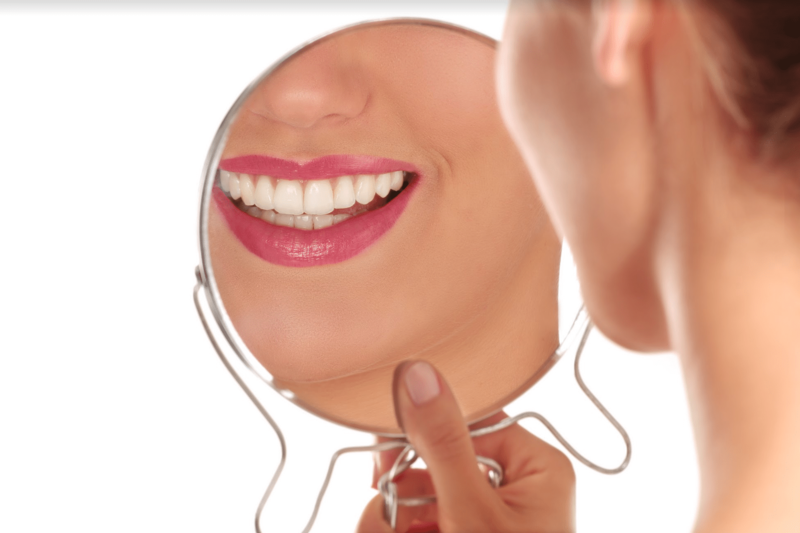 Luckily, there have been many advancements in whitening technology, and there are options to restore our teeth back to “pearly white” status. However, it is important to understand exactly what causes discoloration in the first place. Smoking: A very common cause of yellowing teeth from smoking and tobacco use. The tar, nicotine and other chemicals from the smoke are the culprits. These contents can seep deep into the pores of your tooth enamel and stain them yellow. While e-cigarettes don’t discolor your teeth as much as regular cigarettes, they still contain nicotine and can cause yellowing over time. Poor Oral Hygiene: Another reason for yellowing teeth is lack of proper oral hygiene. When you begin to notice some yellow buildup on your teeth, this is usually tartar or plaque. It forms when bacteria from eating and drinking are left too long on your teeth and don’t get properly brushed away. The longer you wait to remove plaque, the more likely it is to turn into tartar buildup. Diet: It shouldn’t be a surprise that the foods and drinks you consume lead to tooth discoloration. Coffee, soda, tea, tomato sauces and more can give your teeth a yellow appearance. It is important to monitor your diet for foods notorious for causing discoloration and to brush as quickly as you can after eating and drinking. Age and Genetics: Your genetics and age play a big role in the health and look of your teeth. As you get older, the enamel on your teeth naturally starts to become thinner, revealing a more yellowish tint. Genetically, some of us are born with teeth that are more porous and therefore more prone to staining. Illnesses and Medications: Many illnesses, especially ones that affect your liver, can cause discoloration on your teeth. Cancer patients who have undergone chemotherapy or a radiation treatment may also notice their teeth changing from white to a brownish or yellowish color. Medications such as antibiotics can also affect the color of your teeth and is more prevalent in younger kids. Oral Hygiene: To keep your teeth from getting yellow, you should brush your teeth and floss at least twice a day. Additionally, you should brush your teeth after eating or drinking anything acidic. Proper Cleanings: Aside from your daily brushing, you should have your teeth professionally cleaned twice a year. The dentist will polish and scale your teeth as necessary during each visit. They will remove tartar build-up and any minor staining on the surface of your teeth using a semi-abrasive polish. These routine visits are a form of preventative care against future teeth discoloration. Whitening Solutions: If you need extra help restoring the color of your teeth, you should talk to your dentist about whitening options. They will be able to use LEDs or lasers and bleaching products to help get you great results in a single visit. If you have concerns about the color of your teeth or would like to explore whitening options, contact us today! Treatments For BruxismCan Dental Bridges Be Whitened?